Lovely all-brick, golf front home with spectacular views of award-winning Seven Lakes Golf Club! 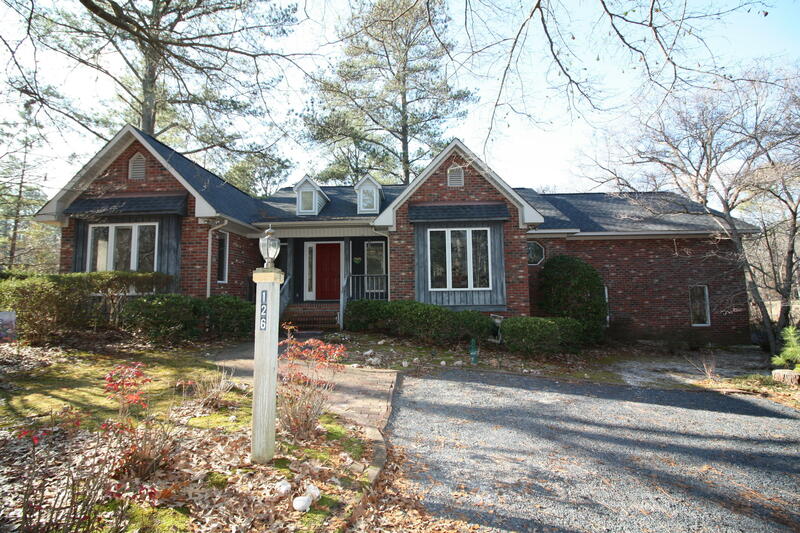 Single level, split bedrooms with open layout and large Carolina room overlooking the course. New roof, all new carpet, new tile in master bath. Beautiful hardwood floors! Formal dining, kitchen with island and breakfast nook, living room with gas fireplace. Spacious yard at the end of a quiet cul-de-sac offers many beautiful azaleas, rhododendron, hydrangea, & dogwoods. Enjoy the amenities of Seven Lakes--lakes, watersports, marinas, swimming pool, tennis courts, basketball court, bocce courts, community center, playgrounds and more!